Since the arrival of the iPad, every tech manufacturer in the planet has thrived to come up with their version of the tablet computer. From Apple’s fierce competitor Samsung to online retail giant Amazon, there is a variety of options you can choose from. With the hype that comes with every Apple product that come up, it is bound that people think that it is all hype and nothing more. As a result, the iPad has gone from being overrated to being underrated. But what people forget is that it is still a dual core processor powered computing device with what probably is the best retina display in the tablet market. Check this article for Best Tablets in the Market. Sure it is not worth to upgrade if you already have the iPad 2 but it for those with no tablet yet; this can be a great first. And with the simplicity of the iOS compared to Android OS, novice users will find the iPad, whichever version, to be the more convenient choice. If you want an all-powerful tablet though, the Samsung Galaxy Tab is probably the tablet for you. The price is a little on the high side but this is one of the best tablets out there in terms of top notch specs and usability. Its 1200×800 pixel touchscreen also feels so clean; you will not see any noticeable pixilation even in full screen. And though the device we have is only for WiFi, we were able to make a VoIP phone call using the RingCentral app. It has power, great interface, and tons of features in one computing device. This tablet/laptop can go neck-and-neck with the Samsung Galaxy Tab. The high resolution is at par with iPad’s great retina display and is one of the fastest Androids in the market. The rear camera also takes great shots, probably the best I’ve seen in tablets. This is one powerful device and the only drawback is that its battery is not as powerful as the Transformer Prime’s. This tablet has Sony Playstation Certification so you can play games like Crash Bandicoot on it. But games aside, it has all the great features standard in most Android tablets. The tablet can also double as a remote control to direct your TV, disc player and other devices. It is also fast, as it is being powered by a quad-core processor. For people who are budget conscious and just want a tablet for browsing and watching videos, then the Kindle Fire HD is not a bad choice. 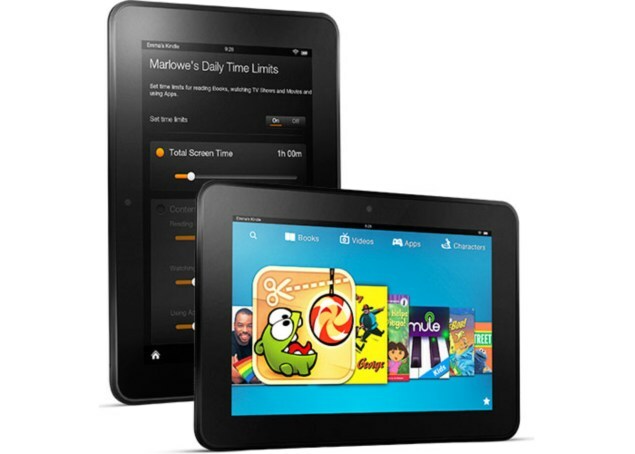 This tablet from Amazon has an elegant screen that is coupled with a great interface. Amazon always delivers in content, but the ease of which these contents are delivered to users is what makes this a great buy. It will not give Samsung Galaxy Tab a run for its money but it is worth every buck you paid for it. Like the Kindle Fire HD, it is not on the level of Samsung Galaxy Tab, or at least not yet. This tablet though features the new Jellybean that is more user friendly than any other Android OS. Though Google decided to scrimp on some features like not including a rear camera, it is done so that the tablet can still be marketed in a lower price. Overall it’s a tablet with solid media features, solid media performance, solid interface, and a powerful processor to back it up.